Listen to certain great champions from any sport and you’ll hear platitudes about focus, toughness and achieving one’s dream, but precious little insight into what actually went on. 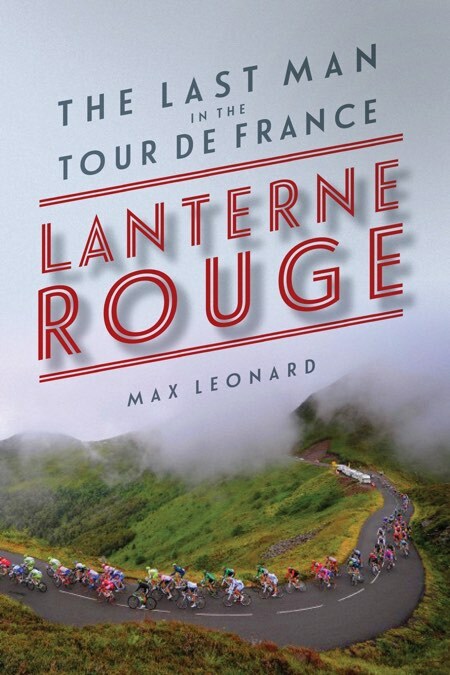 Dig down into the peloton, on the other hand, and there are as many stories as there are men and stages. Riders who experience lots of different facets of the race, who, after spending hours and hours in the saddle, watch for the umpteenth time the backsides of the fast guys disappear up a hill – they must have had some time to reflect on winning and losing and why they do what they do. Red: stop, don’t hit this. It’s an example of aposematisrn – using colour to signal a warning, effectively the opposite of camouflage. Red has the longest wavelength in the visible light spectrum, which means it’s less likely to be scattered by particles in the air and red lights can be more easily seen at distance in fog. Desgrange’s second objection to the manufacturers’ presence was the team element they introduced. In his eyes it diluted the pure element of competition. The manufacturers had quickly worked out that many cyclists in their pay could usefully work together for the greater glory of one of their own. It was Desgrange who, in 1911, coined the cycling term domestique – literally ‘servant’, or for women ‘maid’– for cyclists who worked for others, and he meant it as an insult. But [Eddy Merckx's] participation was ratified at the 11th hour and his indignation at being ejected from the Giro, wearing the maglia rosa, no less, fuelled a comprehensive demolition of all-comers at the Tour. He won the yellow, green and polka-dot jerseys – almost certainly the only time this will ever happen – as well as the now defunct combination jersey and, with Faema, the team classification too. It was a whitewash and the papers coined a new term, le merckxisme, to describe the steamrollering counterpunch style he inflicted on anyone who dared attack him. Have a dig off the front and if you were worthy of his attention he would come to get you himself – no sending domestiques to do the grunt work – and then simply ride away to win, leaving the field in smithereens. They are not like us. Their lifestyle and training regimes have nothing to do with the healthy activity of recreational cycling and domestic bike racing. It is a hard, miserable, flash in the pan galloping drive towards realising an impossible potential. The resources required have no relevance for the average person and the moral ethics created around a universe of solipsistic sacrifice, limited rewards and superhuman physical and mental efforts may as well belong to another species.